Few cocktails are as ubiquitous as the mojito, but for a true taste of Havana, this recipe can't be beat! Besides, you can't very well have a week of mint and not spotlight it come Friday! Pour cane syrup into bottom of glass; press mint leaves with a muddler, being careful not to tear leaves. Add rum and lime juice, removing leaves for a cleaner cocktail, and stir to combine. Add crushed ice, stirring for 30 seconds, then add a dash of bitters. Top with more crushed ice, then soda to fill. Garnish with a healthy sprig of slapped mint. Notes: The garnish ain't just for looks (and John insisted I include that)–it's an aromatic that gives the drink its "taste". He was also very specific about the construction of this cocktail–tearing the mint will make it bitter, the Angostura bitters will cut the sweetness of the rum and syrup, and under no circumstances should anything but unflavored soda or seltzer water be used to top off your mojito. It probably won't be quite as sweet as the mojito you can get at your local watering hole (you can always add a bit more syrup if you'd like), but it'll be much more refreshing–cheers! 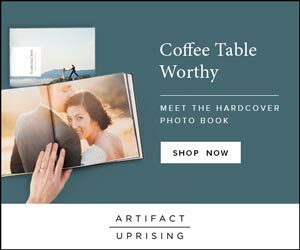 PS–If you're in the market for save the dates or wedding invitations, you've still got a shot to win this Minted Contest! One lucky winner will be announced on April 1st! Oh how I've missed you, mojitos. Can't wait for summer! Oh my it's seriously one of my favorite drinks. So cool and refreshing! Perfect drink for Friday night! Mmmm - I love me some mojitos. Mo' Mojitos please! Mojitos are so pretty, but I still can't really get into the mint taste? Hope you have a wonderful weekend Lena! A mojito is my drink of choice. Once this baby is out...that will be the first to touch my lips! Oh I am sooo ready for warm weather and pools and mojitos! Yum!! Have a wonderful weekend love!!! 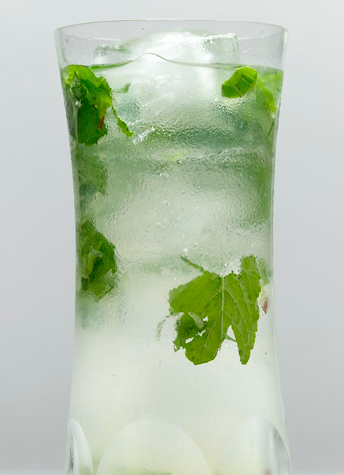 nothing beats a mojito with freshly picked mint from the garden! Nothing reminds me more of vacationing in the sun like a Mojito! Definitely one of my favs!! The weatherman is calling for a chilly weekend, maybe I should crank up the furnace, mix myself a Mojito and pretend I am in Havana! We can sip two or three of these before heading out to dinner. Have a nice weekend, enjoy! i live in the land of mojitos and haven't had one in days... need one!!! Happy weekend! Is summer really up next?! This would be the ideal signature drink for a summer wedding!